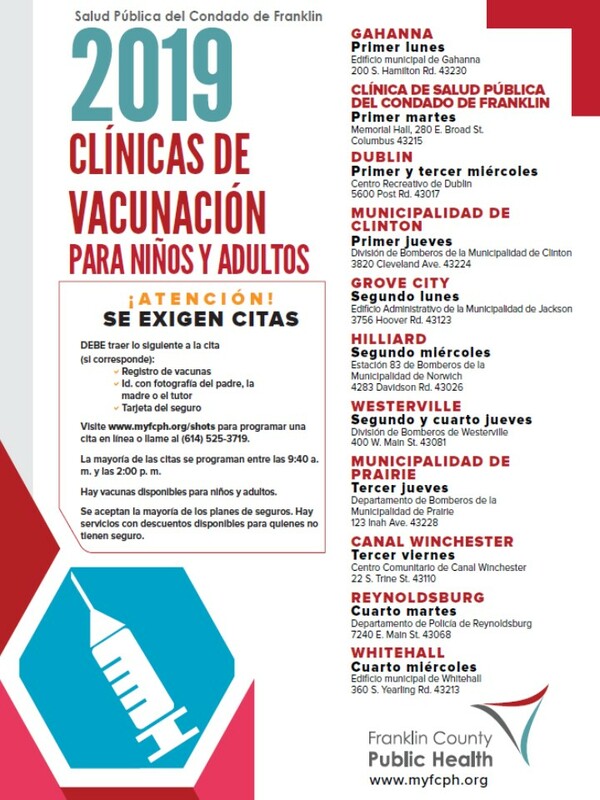 We offer vaccine clinics and education throughout Franklin County for children and adults. Qualify for VFC vaccine: Click here for more information regarding the Vaccines for Children (VFC) Program. Required vaccines are $20 for the first shot of vaccine and $15 for each additional shot of vaccine. *No child who qualifies for VFC vaccine will be turned away if the cost is not affordable. A sliding fee scale is available. Click here to find out what insurances FCPH is currently able to bill. If you have private insurance with immunization coverage that we do NOT bill, you will be expected to pay full price for the vaccine cost at your clinic appointment with cash or check. Click here to find out our current fees. If you have any questions, please call 614-525-3719. Click here to find out what insurances FCPH is currently able to bill. Please note: We do NOT currently bill Medicare Part D.
Adults with no insurance may receive free Hepatitis A, Hepatitis B and flu vaccines. Adults with no insurance may receive all CDC recommended vaccines for a zero vaccine fee cost. However, a $20 administration fee for the first shot and $15 administration fee for each additional shot of vaccine will be charged. A sliding fee scale is available. Some conditions apply. Please call (614) 525-3719 or email shots@franklincountyohio.gov for information. What shots do you offer? Shingrix (Shingles) - On backorder. Please call for availability. Franklin County Public Health does not administer TB testing. See the FAQ section for more details. Please click on image above for more info on travel vaccines. 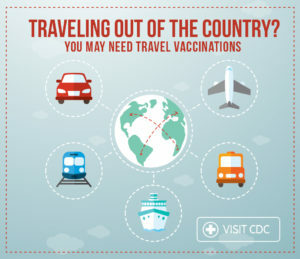 Franklin County Public Health does not provide international travel vaccinations including those needed to prevent Yellow Fever, Typhoid and Malaria medications. Please note: Currently there is a limited supply of Yellow Fever vaccine in the United States. Please click here for clinic locations near you. Refer to the CDC's website to learn about health information related to your destination. What do I need to bring with me to get shots? What vaccinations does my child need to be in school? Visit the Ohio Department of Health's webpage for information regarding school/child care/pre-school vaccine requirements. Where are your clinics? What are the clinic hours? 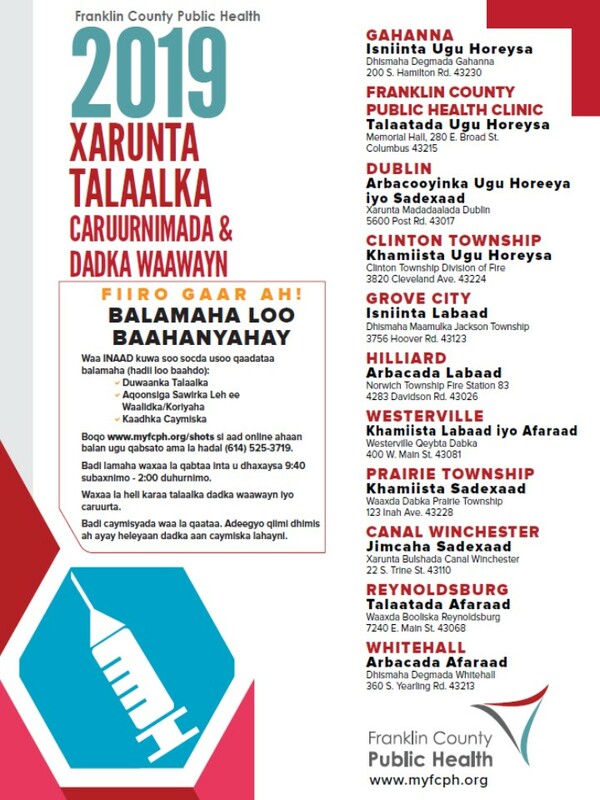 All immunizations are available in 11 community locations. Please see the calendar for a complete listing. How do I get my shot record? Please print and fill out the Immunization Record Release Form and return via email, mail, in-person, or fax to (614) 525-6673. A copy of a Photo I.D. (i.e. Driver’s license, Passport) of the person* requesting the information must be sent with the request. *If patient is a minor, person requesting record must be legal guardian. Please allow 1-2 business days for request to be processed. 2. Call (614) 525-3719 and we will assist you in obtaining your shot record. Please note: We are unable to release records without a written records request completed. Shots are very safe, but they are not perfect. Like any other medicine they can occasionally cause reactions. Usually these are mild, like a sore arm or a slight fever. Serious reactions are rare, but they can happen. Your doctor or nurse can discuss the risks with you before your child gets his/her shots. The important thing to remember is that getting the diseases is much more dangerous than getting the shots. Are seasonal flu shots available? The flu season has begun! It can start in October and end as late as March. The experts at the Center for Disease Control and Prevention recommend that everyone 6 months and older should get the flu vaccine each year. Flu vaccine is available for children 6 months through 18 years at all of the Franklin County Public Health Childhood Immunization clinics. 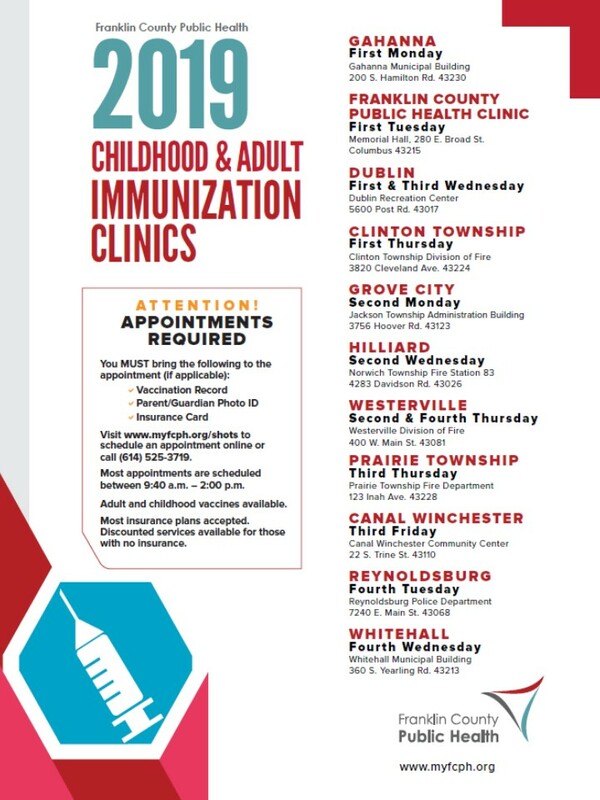 Parents of children from birth through 4 years of age may also receive a flu vaccine at these clinics. The Ohio Department of Health’s Vaccine for Children Program provides the pediatric and adult flu vaccine for those who qualify. For more information about Seasonal Influenza, click here. Where can I get TB testing? 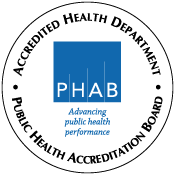 Franklin County Public Health does not administer TB testing. Kroger’s Little Clinics, CVS’s Minute Clinics, Walgreen’s Take Care Clinics, OSU's FastCare Clinics at participating Giant Eagle locations, and some physician offices provide ppd/TB testing.